Motif Investing versus ETFs - Which is better for You? Motif Investing versus ETFs – Which is better for You? Motif investment is a relatively new entrant into the world of (active) investing. 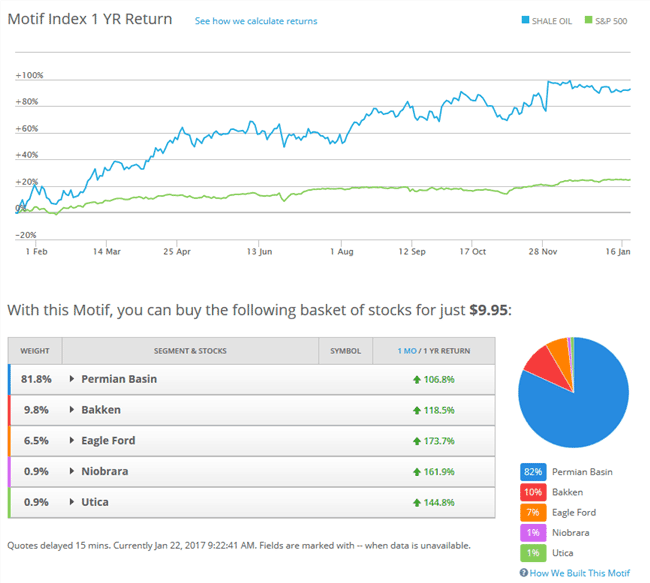 Motif investment is a type of DIY investment fund and is unique to the online brokerage space. At the heart of Motif investing is the idea of investors having control on what they can invest in by means of a "theme based" approach to investing. On top of its unique approach, Motif investing is said to be relatively cheaper and more transparent than other investment vehicles. What has made motif investing attractive to some investors and is fast catching up with the rest are the relatively low capital requirements. In traditional investing terms, Motif investing can be loosely compared to an ETF fund. Take for example you want to track the performance of Gold mining companies. The first ETF that you would be looking at is the Van Eck Vectors Gold Miners ETF (GDX). But what if you wanted to track a specific fund such as investing in a dozen or more companies dealing with coffee or pet products and so on? This is what Motif investing is all about. Building a theme based investment portfolio in a structured manner and operates similar to an ETF, but of course with less expensive fees and higher transparency and probably the most important, the ability to customize or build your own theme based portfolio. Motif investing was started by a former Microsoft Executive, Hardeep Walia. Having got funding from Goldman Sachs, JP Morgan Chase and others, Motif investing was opened for business. It quickly gained recognition and was ranked number four in CNBC's "Disruptor 50" in 2014 and it also made it into the list of Forbes FinTech 50 for 2016. Motif investing is an active investment which offers pools of investment options based on different themes making it part fun and very unique to the investing world. 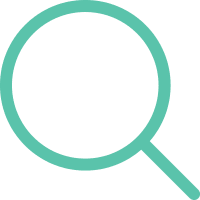 Motif investing was in fact built for the active investor according to the founders and therefore requires a lot of attention and isn’t your typical Buy and Hold investment approach. With Motif investing, you are only limited by your imagination and the stocks or ETF’s that are available. You can also choose from Low, medium or high risk profile themes as well. A motif comprises of 30 stocks or ETF’s which trade in a basket similar to an exchange traded fund. You can build your own motif with the ability to customize the weightage of the stocks or the ETF's in the motif as well. The above statistics shows the performance of the Shale Oil motif that was created and shows the 1-year returns compared to the S&P500 Index. The Shale Oil motif is made up of five segments, with the individual stocks representing the segment. The total number of stocks in the motif should not exceed more than 30. 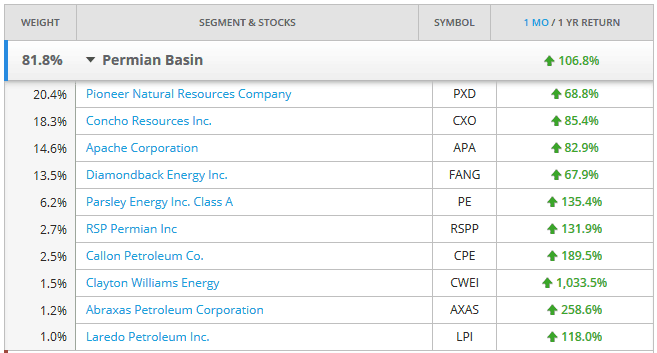 The next picture above shows a snapshot of some of the stocks that are listed in one of the segments of the Shale Oil motif. Thus, when you are trading the Shale Oil motif you are in effect buying a share of a basket of the 20 – 30 stocks that are listed in the Shale oil motif by paying a flat fee. Pricing for the Motifs are also attractively structured. To buy or sell a Motif or to rebalance the positions, there is a fee of $9.95. If you prefer to sell or buy any of the individual components in the Motif, there is a fee of $4.95 per component, which can be a stock or an ETF. With Motif investing, you can also trade on margin which is around 6.75% - 4.25% on average. Although Motifs operate in almost the same way as an ETF, they are quite different. Below are some of the factors that make motifs different from ETF’s. The Product: The ETF comprises of a portfolio of securities that are based on an investment objective and trades in real time. Motifs are hand-picked thematically and can comprise of no more than 30 components (stocks or ETFs) at any point in time. Ownership: One of the biggest distinctions between ETFs and Motifs is that when you purchase ETF, you are in effect buying shares of the fund. In contrast, when you buy Motifs, you have a direct ownership of the underlying securities in the portfolio. This means that you also get dividends based on the stocks that you own. However, the dividends are not re-invested and if you want to reinvest the dividends you have to pay the flat free of $9.95 or $4.95. Fees: Lower fees are a trademark of motifs and form the basis of the marketability of the product. 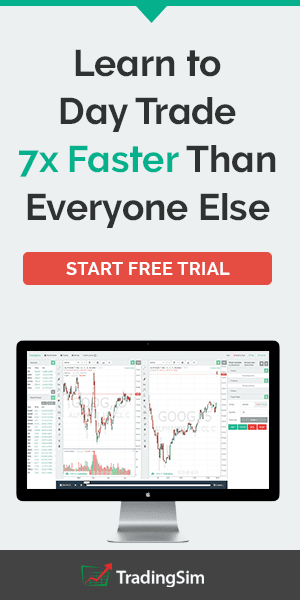 Unlike ETF’s where you have to pay an expense ratio, with motifs there is only a flat fee of $9.95 for a transaction that you make buying or selling up to 30 stocks or ETF’s at one time. Besides the fees, the tax structure of the ETFs and the motifs are also different. Back testing: If you have a particular technical trading strategy that you would like to back test, it can get difficult to back test a motif, as compared to an ETF which is traded on an exchange. The simplest explanation between the ETF and Motif investing is the above diagram. To the left is an illustration of how a typical ETF is structured. Different stocks with different weightage are allocated under the ETF and the exchange traded fund is then listed on a stock exchange. When you buy an ETF, you are buying shares in the exchange traded fund, not shares of the stocks or the underlying asset in the ETF. On the other hand, you have a motif which is a portfolio or a basket of stocks built according to your preference. In this instance, you first create a motif and give weightage to the stocks. For example in the above illustration you have six stocks in the motif. Four stocks have a weightage of 20% while the remaining two stocks have a weightage of 10%. Thus, when you buy this motif, the stocks that are purchased are equivalent to the weightage. Thus, you could end up buying 2 shares each for the four stocks listed in the motif and one share each for the remaining two stocks. By now it is clear that the motif doesn’t trade on an exchange but only the stocks. Also unlike ETF you are buying the stocks that are made up in the Motif. Trading Motifs or ETFs, which is a better option? If you brush aside the sugar coating, you will realize that Motif investing is nothing but purchasing a basket of stocks at a discount. Say for example you want to invest in social media stocks, the couple of names that come to mind are Facebook (FB) and Twitter (TWTR). Traditionally, you would have to pay around $10 per stock if you want to trade them. Thus, to buy the above two stocks you would be paying $20. Remember that the more stocks there are, the higher the fee becomes. Now if you had clubbed FB and TWTR into a Motif as a hypothetical example, then buying these stocks would result in a cost of just $9.95, that’s a saving of over $10.05. Because a Motif can have up to 30 stocks, you will only pay $9.95 and not $300 which would be the cost on any other regular stock brokerage. As you can see by now, the first benefit of trading Motifs is in saving the costs when you buy a bunch of stocks. If you were to look at Motif investing as an alternative way to invest in ETF’s there are some potential limitations to bear in mind. Motifs are local pools of investment. 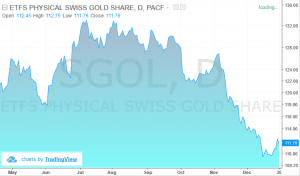 They are not traded on an exchange like an ETF such as SPDR Gold Trust ETF (GLD). 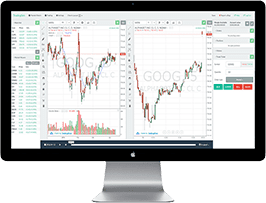 Therefore, if you were to analyze the Motif or even do a simulated trading on the motif, it would be next to impossible unless you had customized software that can club the individual stocks within the Motif. Motifs are simply theme based portfolios. If you got together with a couple of your friends who are also active stock traders, then the portfolios that they have can be called a Motif. 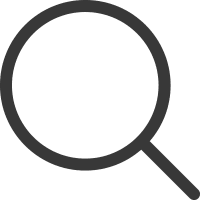 To be able to thoroughly analyze such as portfolio or a motif requires you to have a good understanding of the fundamentals governing the theme or the sector that your motif or the portfolio is built around. In this aspect, building or investing in a motif is ideal when you have a more clear understanding of the industry or the theme. For example, if you were a doctor who is specializing in a particular field, you would know what new medicines are likely to hit the markets and the potential it has for the company behind the medicine. In this aspect creating a theme based portfolio such as Motif makes more sense. On the other hand, if you were an average retail investor simply looking for diversification, there are chances that you might end up making mistakes than making money. Investing in Motifs is active investing. And such type of investing is not suited for all. For example, when you invest in the stocks in the motif and they give dividends, you will have to manually re-invest them. Furthermore you will also need to be actively monitoring your motif to rebalance or re-adjust your stocks weightage accordingly. For an investor who prefers a buy and hold method, this can be tedious. Then there’s also the fact that the more involved you are with the stocks, the more likely you are to be influenced by the day to day volatility and this end up closing your trades prematurely. In conclusion, Motif investing might have taken the investing world by storm as a uniquely positioned financial instrument. However, Motif investing is just another name for a theme based approach to investing and merely tracking a portfolio that is built around the theme. As a retail investor Motif investing can be quite compelling and could open up some creative investing opportunities. In order to be successful with Motif investing, the average retail investor will need to focus on both the fundamentals and the technical aspects of the individual stocks within the Motif. Unlike an ETF which can have more valuable information such as P/E, P/B ratio, dividend dates and so on, a Motif investment lacks such information, in effect making motifs quite customized and personal to the investor creating the Motif stocks. While Motifs might seem similar to an ETF, investors should remember about the stark differences that make Motifs different from trading an ETF and as such the approach used to analyze a Motif is also different to an ETF. If you are an investor who has a particular liking for a sector or a set of stocks, then motif investing can offer you a cheaper alternative to build a portfolio of stocks or ETF’s with the different weightage given to each of the components in the motif. But beyond this distinction, Motif investing is just the same as building your own stock investment portfolio and tracking its performance over time. Investors should also bear in mind that Motif investing requires some time and effort in order to constantly adjust or rebalance your portfolio and to an extent reinvest the dividends received from the stocks. As to answering the question of whether Motifs or ETF’s are a better investment opportunity, it all comes down to your perspective and your investment goals. For a busy investor who doesn’t have the time to keep an eye on a bunch of stocks, investing in a themed ETF is the most ideal solution, while on the other hand, an investor who has the time and the resources will find motif investing to be a better option.